The Gallifrey One convention is coming up, and in the meanwhile, I’ve been watching a lot of Doctor Who. Companion exits are often a pretty big deal. Occasionally they just sort of wander off never to be sen again, but when they’re done correctly, they really leave a mark. I’m discounting those non-exits, and this list has nothing to do with how I feel about my characters. Just how they left the show. Let’s start with the good ones. Jo falls for a, surprise surprise, scientist, and is engaged before the end of her last serial. So that was a bit quick, but it’s easy to buy that she’s really happy. The Doctor reads the writing on the wall. He can’t bring her around on his adventures. She has a life to attend to and has outgrown her assistant role. The Doctor doesn’t like goodbyes, so while everyone is celebrating, the Doctor slips away. Jo, for her part, chooses not to dramatically chase after him and demand a proper farewell. They each know what the other would say. Bittersweet, but far from tragic. River is never a full-time proper companion, like the others on this list, but she spans 3 Doctors and is one of only a few to actually marry the Doctor. Technically, her story ends the first time we meet her, but her exit from the show happens in the Christmas special “The Husbands of River Song.” After watching the previous three companions die in their last episodes, the idea of watching another companion meet their end was heartbreaking. But River’s story ended with her getting a 24 year long date with Capaldi’s Doctor, and the words “they lived happily ever after.” That’s about as good as a companion can hope for. Ian and Barbara didn’t choose to go traveling with the Doctor. They were effectively kidnapped. And through that they taught the Doctor and learned from him and became friends. But it was never their choice to travel. So when they find a way to get back to Earth, they have no plan, don’t know what they’ll tell anyone, but know it’s time to leave the Doctor. They’re home. They’re together. They’re happy. We see them in a series of snapshots, which serves to show them running through the city. The last time we see them, they’re laughing, arms around each other. I’m referring to Rose’s original ending here. Cause that’s really her exit as a companion. For a whole slew of people, this was the first time they’d had to say good-bye to a companion. And this was a traumatic scene. The Doctor’s only able to say see her through a projection (and has to burn up a sun in the process). Rose reaches for him, but he’s no more than air. She finally professes her love out loud, and all that’s left is for the Doctor to return the sentiment. But before managing to say it, the connection is broken. And Rose is left crying on a beach, forever separated from the Doctor (until she’s not). While we’re on the subject of heart-wrenching endings, there’s Sarah. When she and the Doctor get in a fight, the best mate relationship that makes the two of them so comfortable together is shattered, but not out of character. Sarah storms off and the Doctor gets a call to return to Gallifrey. She comes storming back with all her things, bluffing that she’s going to leave. And he tells her, yeah, she is. Her heartbreak is palpable. It never fails to choke me up. Apparently, the actors rewrote this scene, and I can’t imagine it being done any better. It’s simple, but powerful. I found the depiction of violence against Bill uncharacteristically graphic. Compare Clara’s death when the raven flies into her chest and vanishes with the gaping hole where Bill’s midsection used to be. To then put Bill in scene after scene depicting her fear and frustration, because she doesn’t know she’s been physically and mentally mutated, upset me. Considering the context of the the show, its audience, and its characters, we could’ve pulled way the hell back and still delivered an emotional and meaningful ending for Bill. But no. And then she died as a Cyberman. Sorry, but her running off into the stars with a girl she barely knew just didn’t cut it for me. I’m still pissed. Hartnell’s speech is great, but I’ve said it before, and I’ll say it again: the Doctor leaves his granddaughter stranded in a Dalek-infested post-apocalyptic wasteland without any shoes. And it’s not her choice. She should come back as a vengeful villain. This whole thing is just weird. But it takes place smack dab in the middle of “The Trial of a Time Lord,” so it was always gonna be weird. 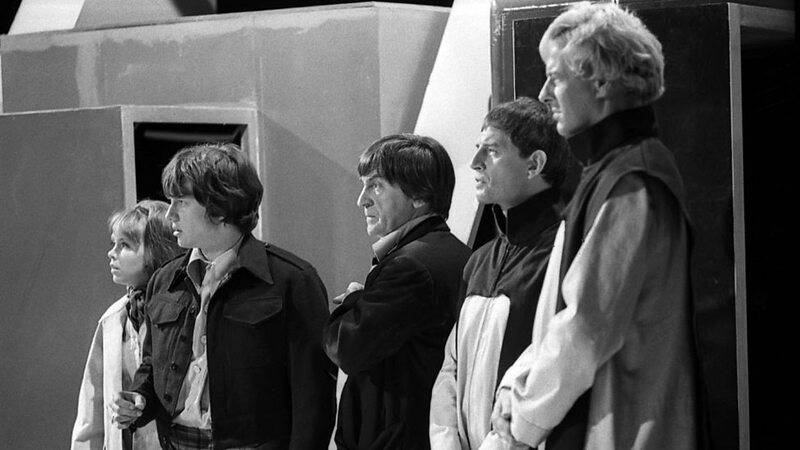 We hear abut Peri’s fate through the Doctor and other Time Lords’ distorted memories. She was, apparently bound and gagged by an evil slug monster. He then replaced her brain with his own in her body. So that’s bizarre and creepy. 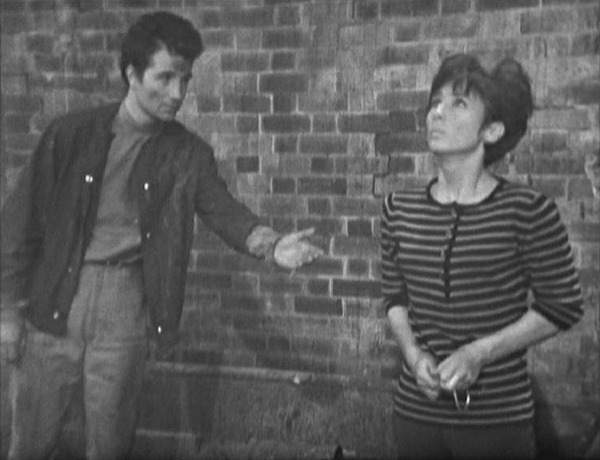 Of course, later in the serial the writer’s seemingly back-tracked and revealed that Peri hadn’t died. Instead, she had married a warrior, Yrcanos. But this feels entirely out of character. It seemed more an attempt at a quick fix to erase her death. For me, the worst way to write out a character is to take away their memories. In the case of Jamie and Zoe, the show makers were in a bit of a bind, having created two amazing, loyal characters who would never leave the Doctor. Not in their right minds. It’s hard enough seeing them say good-bye, but because the Time Lords are dicks, they also erase their memories, so they will only remember the first time they met the Doctor. This is awful for Jamie, since he’s arguably the best friend the Doctor had before or since, nor would he have any memory of Victoria or Zoe, and he was dropped back to his own time mid-battle. It’s terrible for Zoe, who lost all the character development she’d had over the season. I had a hard time choosing who would get the top spot between the double-whammy of Jamie and Zoe losing their memories and Donna losing hers. I eventually went with Donna for one reason: the Doctor’s the one that does it to her. In order to save her, the Doctor has to erase ALL memory of himself from her mind. She understands that and is still screaming at him not to do it, making the whole situation feel very memory-rapey. At that point I think Donna (and I, as a member of the audience) would have preferred a noble death (if you’ll pardon the pun). 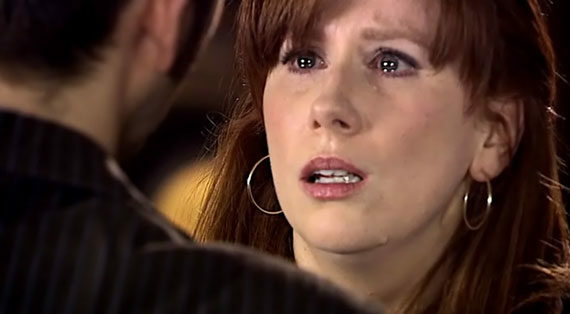 It’s also difficult, because Donna never saw her own worth until she went traveling with the Doctor. She’s amazing and deserves to know that. This entry was posted in tv and tagged barbara, bill, doctor who, donna, ian, jamie, jo, peri, river, rose, sarah jane, susan, zoe. Bookmark the permalink.